A month or two ago I went to a friend's house for a ladies night were we sat around drinking wine and eating some amazing appetizers. It was an incredibly fun night, one I might remember for a very long time. Ok enough of the sappiness, lets talk food! 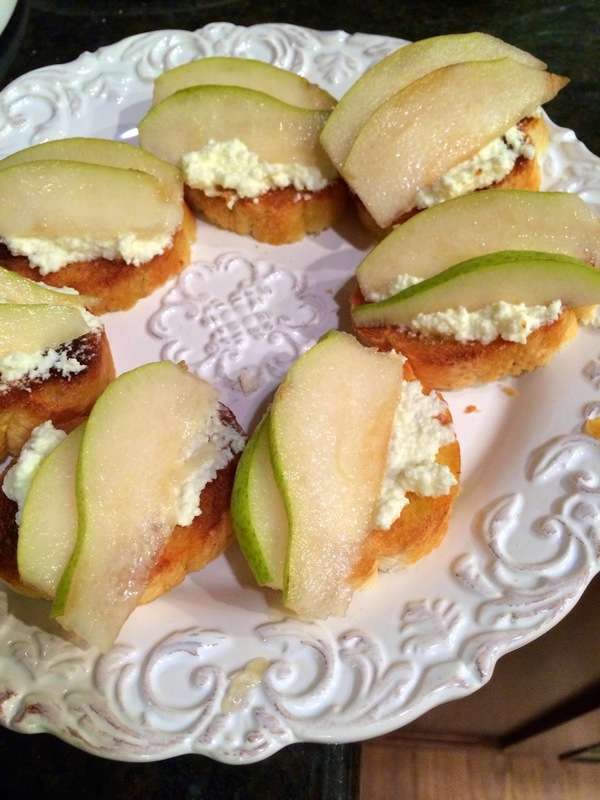 One of the appetizers that were served were these super good goat cheese pear things, they were so amazing! I messaged my friend the next day asking for the recipe because I ate pretty much a plate full of them. When I went looking for the recipe again, I couldn't find it and when I searched it, I came up with a Martha Stewart version because it's only natural that Martha Stewart would have a version right? 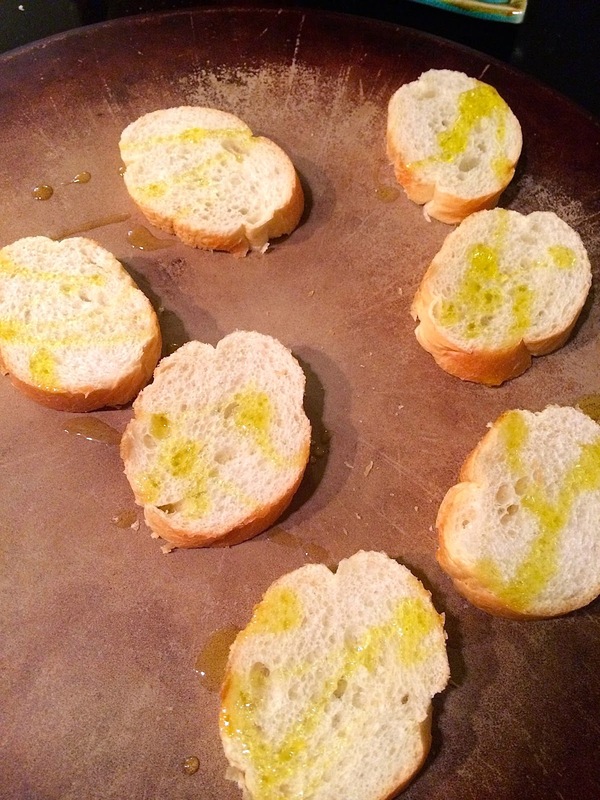 So I cut them into slices, drizzled olive oil on them and toasted them in oven under the broiler. 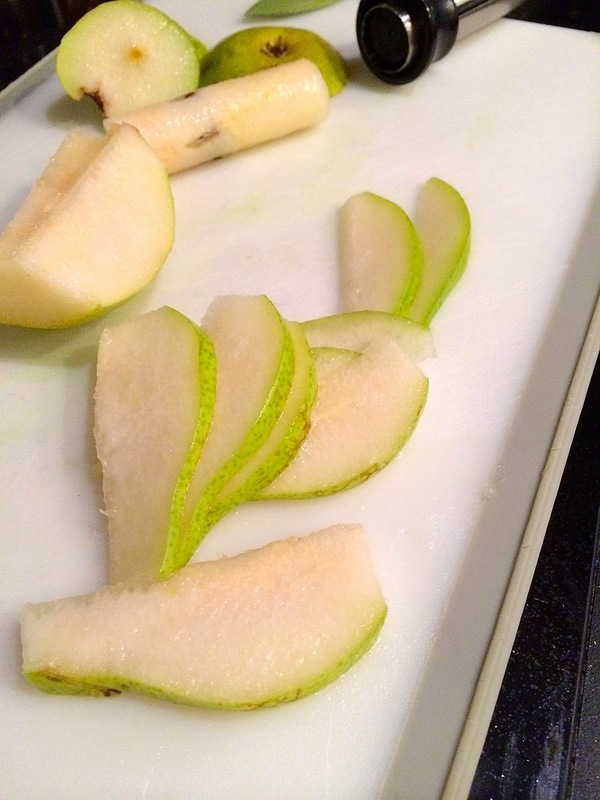 And then sliced the pear into somewhat thin slices. 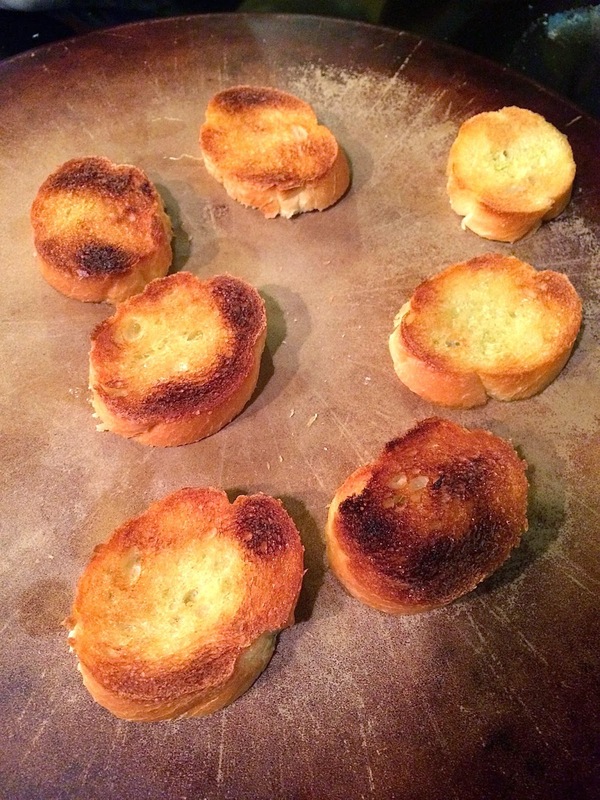 When the bread was done toasting (and man doesn't it look good? ), I moved them to a plate so they would cool faster. After they cooled, I put some ricotta cheese on them. I decided that this would have been waaaaay better with the lemon ricotta cheese that Matt and I had on a small pizza in a sidewalk restaurant in New York, it would have just made these! I added the pears next and had to stop myself from stuffing them all in my face. When I went to drizzle the honey on them, my honey had crystalized. So I had to boil it really quickly so that I could actually drizzle it. Lastly I sprinkled some walnuts on them. Amazing right? Of course they are! I ate all but two, you know, so Matt could try them too. To get the full recipe you can check out the Martha Stewart website! Please take a look at the blogs participating in this Holiday Cocktail Party! Yummy! I love how easy this is, but looks so sophisticated! This looks tasty. Having the sliced pear definitely makes this refreshing for guests. Thanks for sharing! All I have to say to this is YES!!! These look absolutely amazing! This looks really good! 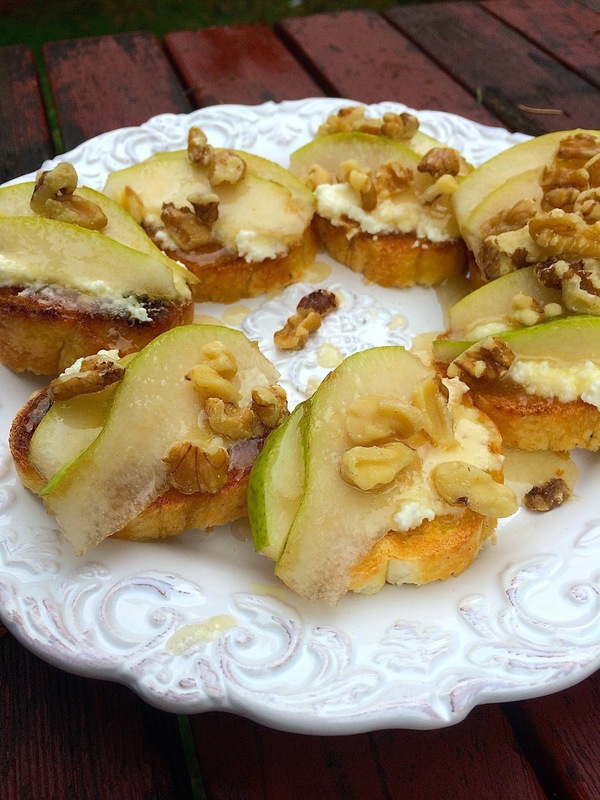 I've made crostini with ricotta, honey, and walnuts before but I love the addition of pear. Wait are you for real? YUMMM! 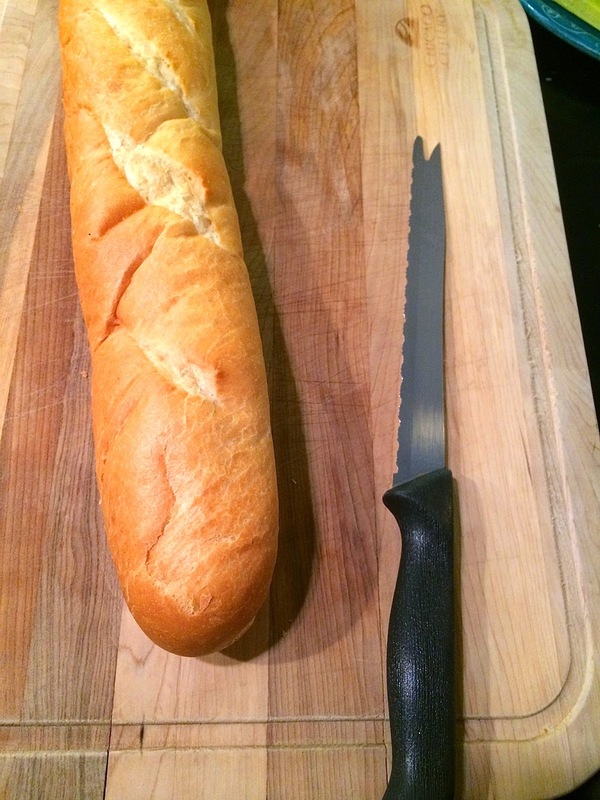 I would have never thought of that combination but it looks so good! I may have to try that! Martha Stewart has a version of everything... you're so right! Great recipe! That looks SO good! i am going to have to try this. We have a place called roasted pear by my house and they try to associate pears in their dishes in different ways.. this would be a good one for them! Yummy! Get in me belly! Thanks for sharing! 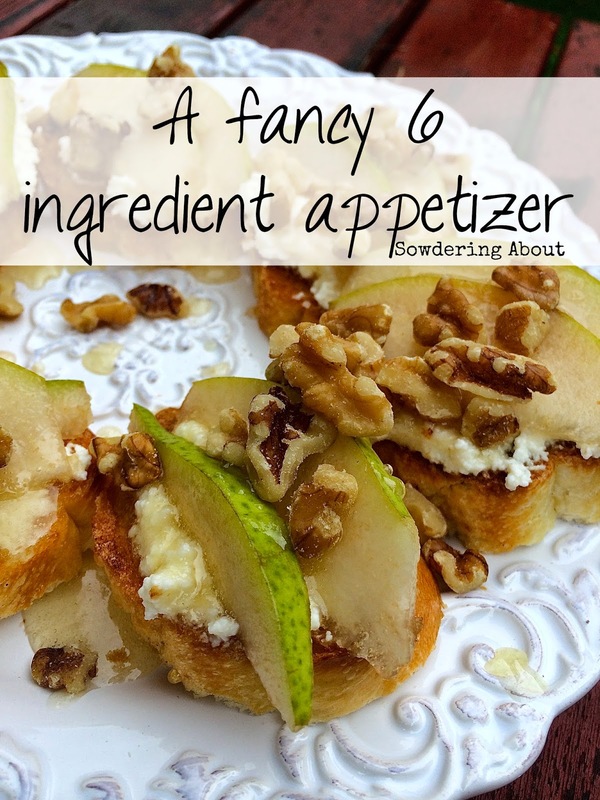 I loooove pears -- this looks great!